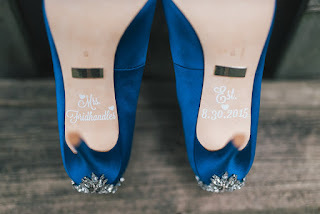 Working on Laura & Rob’s wedding was extra special for us, as Laura is a fellow sorority sister and friend. Not only that, Laura is also one of the kindest and most philanthropic person we know and it was an absolute pleasure and honour for us to be a part of her most special day. 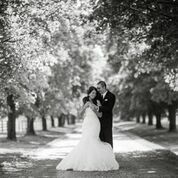 Laura & Rob wanted each part of their wedding day to be a reflection of their outgoing personalities and fun loving nature. 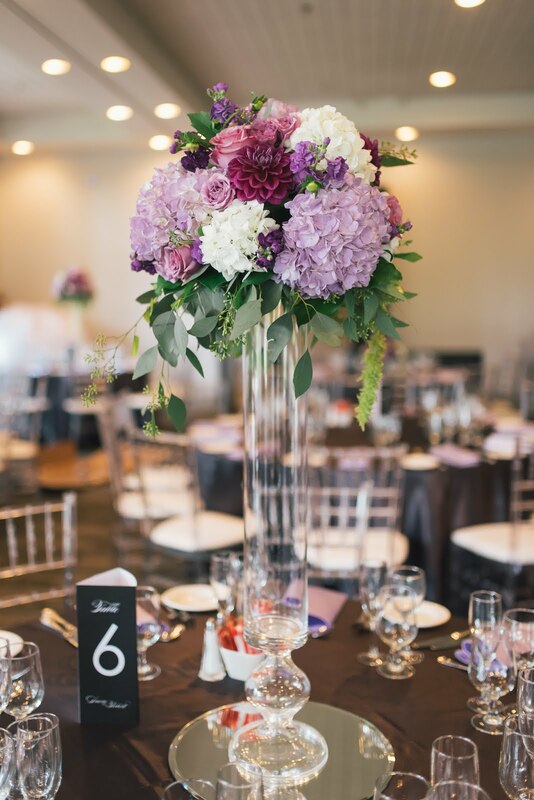 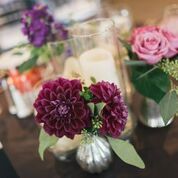 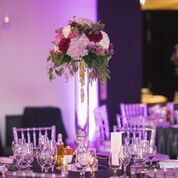 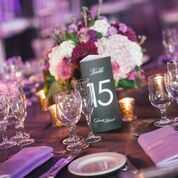 Big & bold pops of purple, bright pink and fuschia adorned each centerpiece, along with lots of different greenery, like moss and ferns. 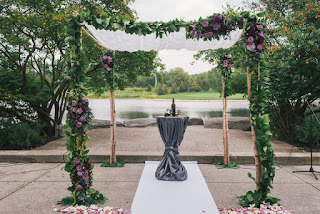 Their chuppah, which was situated outside, in front of a gorgeous lake and vast field, perfectly complimented the whimsical and colourful centerpieces, created by Toronto Florist Shop. 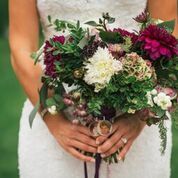 As well, the bride’s bouquet, designed by Sweet Woodruff, was a sporadic, yet beautiful blend of different florals, colours and textures. 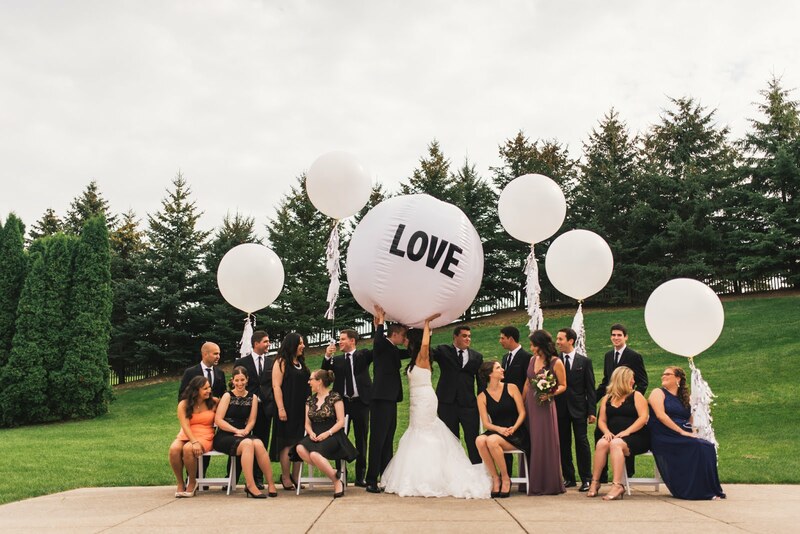 Our favourite aspects of the wedding were the oversized Love balloons and the bagel bar wedding favour station. 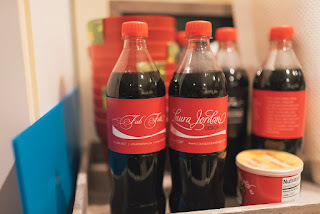 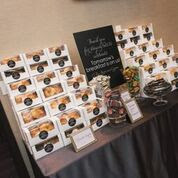 Each guest took home a pre-packaged box with bagels from Montreal or Toronto, along with their choice of various spreads, such as peanut butter, cream cheese and nutella. 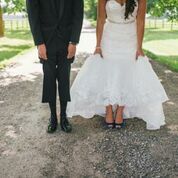 We thought it was such a cute and original idea! 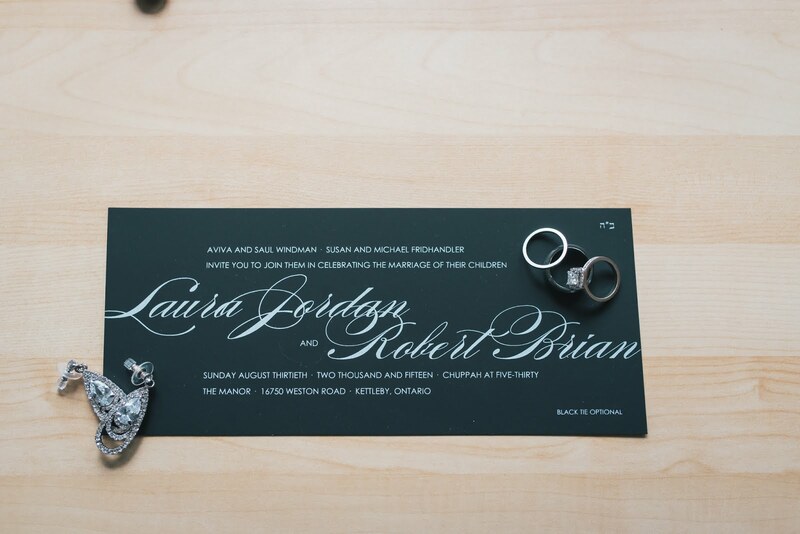 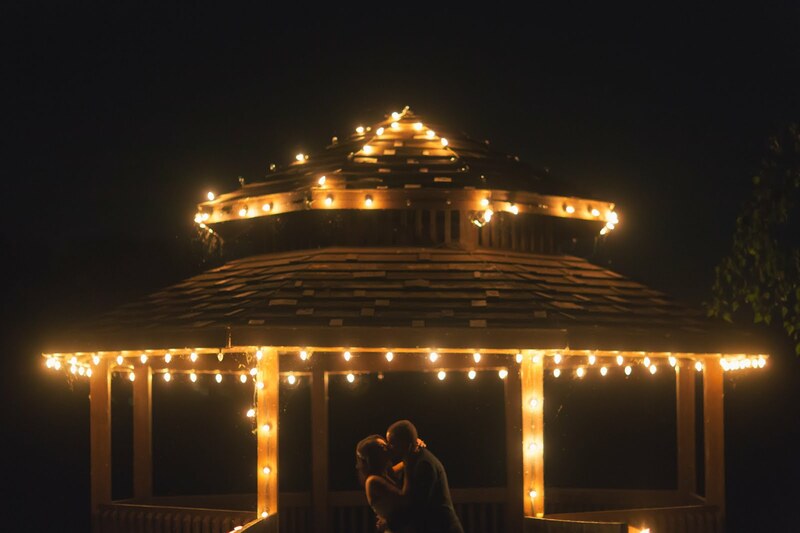 Laura & Rob are truly a match made in heaven and their creative and fun spirit was clearly reflected throughout every aspect of their wedding.